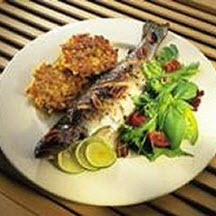 CooksRecipes has quality, kitchen-tested recipes for trout dishes that you can count on for successful deliciousness. 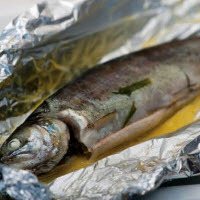 Baked, individual foil packets filled with an olive oil-brushed whole trout topped with slices of lemon and fresh sprigs of rosemary. 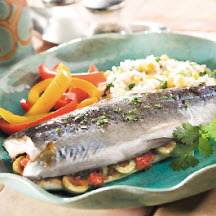 Recipe courtesy of the Scottish Trout Association. Recipe courtesy of Clear Springs Foods.